Are you planning a winter weekend getaway? There are some great benefits to visiting Edinburgh during the off-peak season. 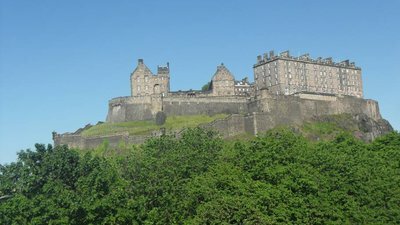 Imagine having attractions like Edinburgh Castle or the top of Arthur’s Seat to yourself. No crowds, no rush, just you and the view. You can take your time exploring our beautiful city, never have to queue and can get restaurant reservations almost everywhere. There’s also something pretty magical about Edinburgh’s ancient buildings covered in light, fluffy snow. 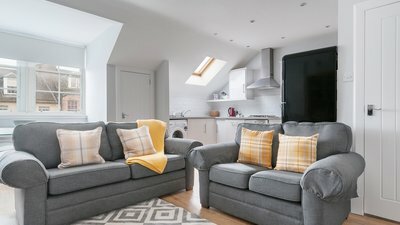 We’ve picked some of our cosiest holiday apartments with awesome winter features, like hot tubs and open fireplaces, to help you plan an unforgettable winter getaway to Edinburgh. Welcome to our Quartermile Luxe apartment, where you can soak sore muscles in a hot tub after a day of exploring our enchanting city. Edinburgh’s cold weather will quickly vanish as you relax in the rooftop terrace with stunning views over the city centre. Inside, you’ll find three impressive bedrooms each with flat screen TVs and large, ultra-comfy beds so you can sleep from dusk to dawn. There’s also a bright, open-plan stone-fronted kitchen, which comes equipped with high-end appliances like a Nespresso machine and wine cooler and spacious living room perfect for spending the evening making family memories. There’s nothing better than spending the evening by an open fireplace playing cards, reading your favourite book or chatting over a glass of wine. When the weather’s cold, you want to be as warm and cosy as possible. Our 1 Bedroom Apartment in New Town guarantees you will be. Here, you’ll find everything you need for the perfect self-catering Edinburgh stay. The kitchen is fully equipped with a gas oven, microwave, fridge/freezer and dishwasher while the bedroom features a comfortable king size bed with plush duvet. Plus, it’s also within easy walking distance to fantastic restaurants, pubs and shops, so you don’t have to spend too long outside. Step back in time at this 18th-century holiday apartment. The Old Chapel has a fascinating history as it was built as an extension to the house at No. 23, where Conan Doyle, the writer behind the classic Sherlock Holmes novels, lived. Sir Walter Scott and Thomas Carlyle also lived on this street, almost next door. With its wood burning fireplace, it’s also the perfect Edinburgh accommodation for your winter getaway. 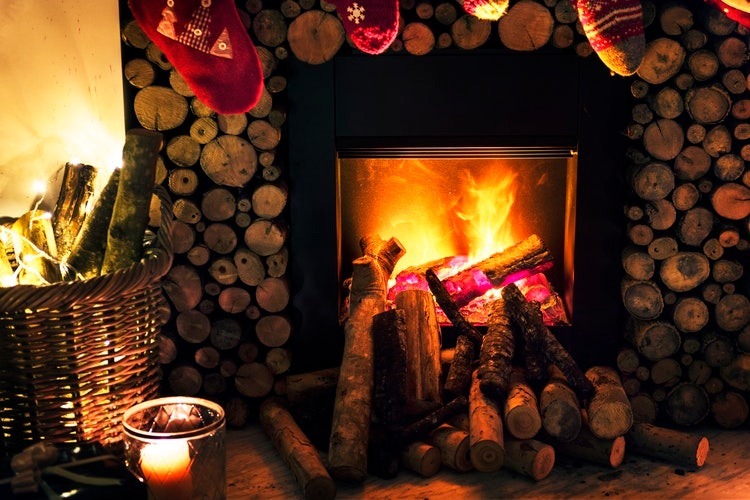 You can curl up in front of the fire with a classic Scottish novel or play board games with family members. Here, you’ll also find a pool table for late night matches, private garden for that rare winter sun and parking. The holiday apartment has three bedrooms spacious bedrooms and can comfortably sleep six people. When it’s cold outside, you’ll want to stay in the city centre. Our luxury Balmoral View holiday apartment is a stone’s throw from Edinburgh’s attractions like Scotts Monument and less than a five-minute walk from fantastic restaurants, quaint pubs with fireplaces and high-street stores. 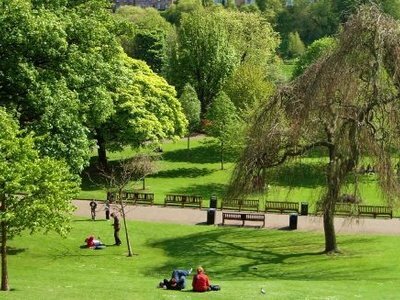 So, you’ll never need to venture far to sample the best of Edinburgh. The Balmoral View has three spacious bedrooms with comfortable beds and timeless wooden furniture. In the master bedroom, you’ll also find a wall-mounted LCD TV and vanity sink. The living room has big comfy leather sofas, a working fireplace and flatscreen TV. Spend your evenings in front of the fire with your favourite book or watching your favourite TV programme. Winter parking can be tricky and if it snows, you might need to move your car. Staying at one of our six holiday apartments with private parking means you won’t have to worry. Our Lochrin Place holiday apartment includes an allocated parking space in a secure underground car park. Inside, you’ll find a stylish two bedroom self-catering apartment with excellent canal views. The master bedroom features a double bed while the second bedroom has two single beds and ensuite facilities. As a self-catering apartment, Lochrin Place also has a fully-equipped kitchen with modern appliances, coffee machine and fridge/freezer. 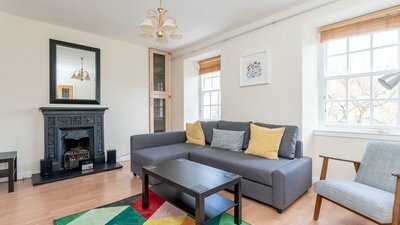 This apartment is also within easy access to Edinburgh city centre, where you can visit world-famous attractions, dine at renowned restaurants and drink at cosy pubs. We look forward to welcoming you to Edinburgh this winter!